Ath. Ox. vol. 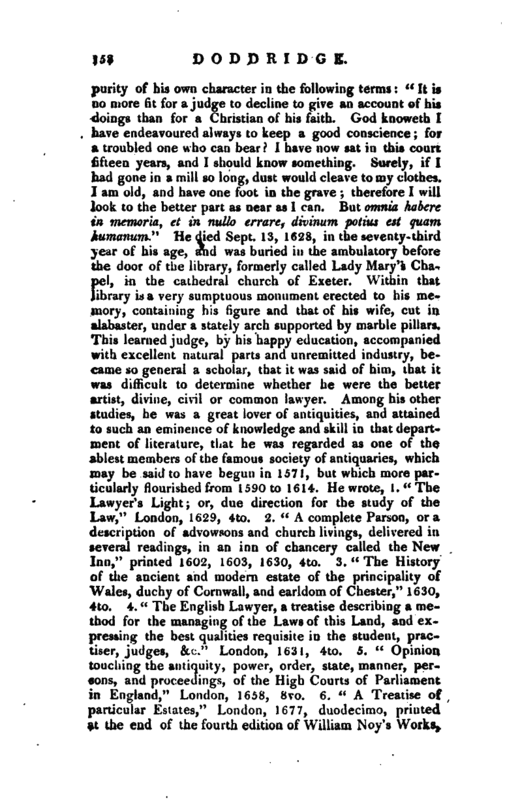 I.—Hearne’s Discourses, vol. II. 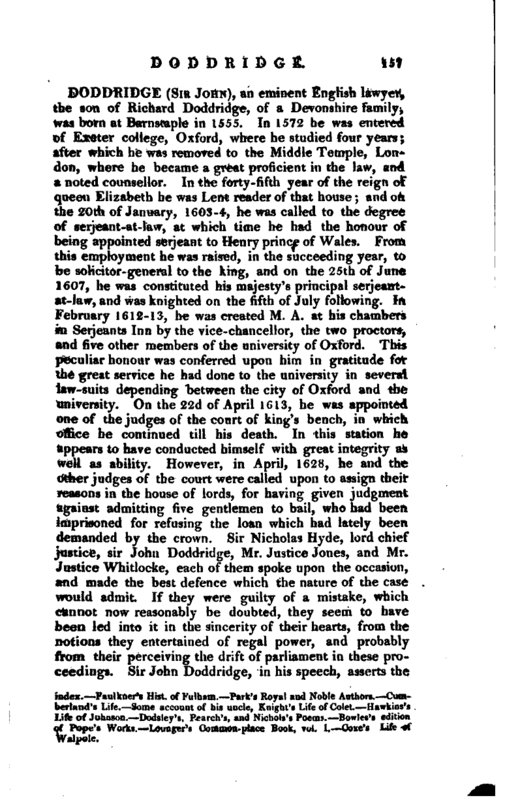 p. 432, &c.—Prinor’s Worthies of Devon.—Fuller’s Worthies.—Biog. 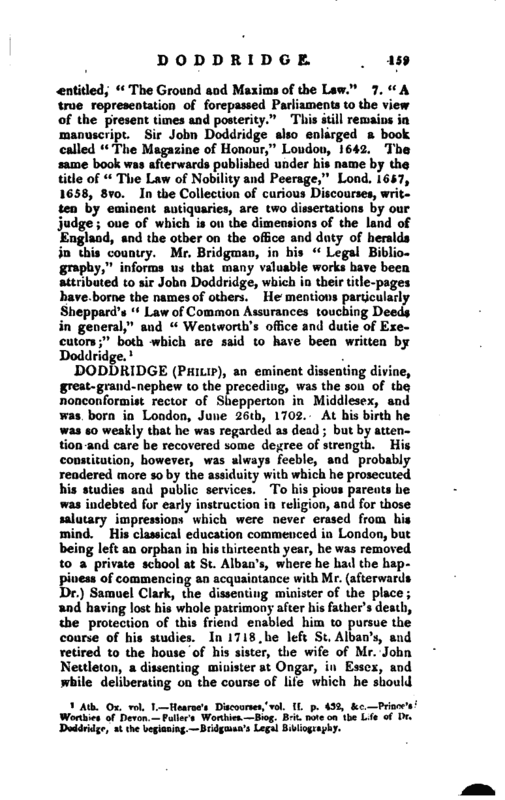 Brit, note on the Life of Dr. Doddridge, at the beginning.—Bridgman’s Legal Biography.